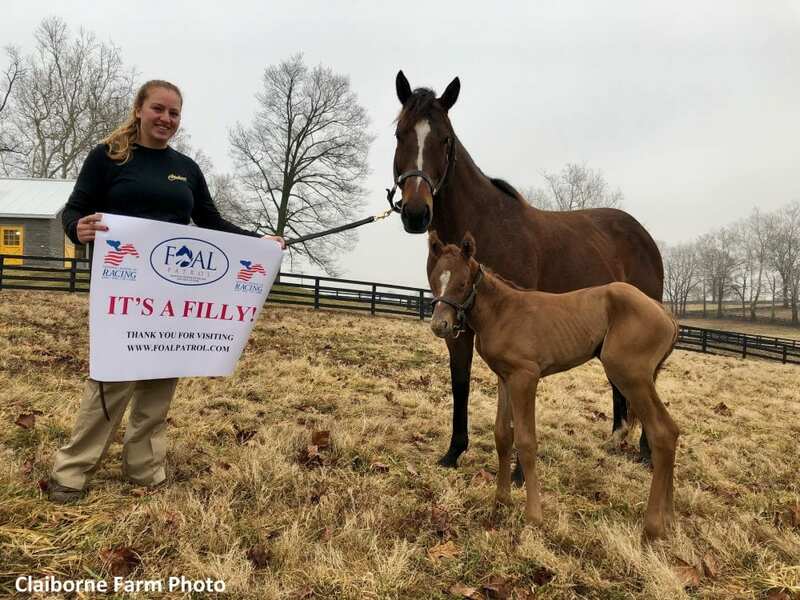 With Honors, a 5-year-old mare owned by LNJ Foxwoods, delivered a filly by Tapit at 9:10 p.m. on Feb. 4 at Claiborne Farm as part of the National Museum of Racing and Hall of Fame's Foal Patrol Season 2. The foaling occurred about three weeks before the expected date, but the delivery went smooth and both mare and foal are in excellent health. With Honors is one of eight mares participating in Foal Patrol Season 2. The next mare scheduled to foal is Comme Chez Soi at Old Tavern Farm in Saratoga Springs, N.Y., on Feb. 14. Foal Patrol is a one-of-a-kind interactive web project. Season 2 features a collection of live cameras where people can view real-time streams of several in-foal mares and a stallion. The live camera feeds will be available according to their daily schedule. For more information, or to sign up for news and special alerts, please visit www.foalpatrol.com. This entry was posted in Bloodstock, NL List and tagged Claiborne Farm, foal patrol, foal patrol season 2, LNJ Foxwoods, national museum of racing and hall of fame, tapit, with honors by Press Release. Bookmark the permalink.